After a long wait, Saaremaa island again has its own proper brew. This craft beer originates from a microbrewery on a small farm just outside the legendary Pöide. While the young beer was fermenting, Brand Manual prepared the launch of the new brand. The task carried a great deal of responsibility— the expectations of the islanders were high, as the beer, and it's look, had to be just right. The identity is built on the name Pöide (an obvious choice!). This is a name loaded with history, yet with a distinctive modern, Scandinavian air. It makes subtle reference to Pöide's medieval church and the island's deeprooted pagan attitude. So, taking care to make sure the recipe for the identity was not over-designed, we let the beer speak for itself. Of course it’s not just the bottle with a label and a branded cap. Pöide Brewery is in no position to spend money on national advertising, so the product has to do the talking. 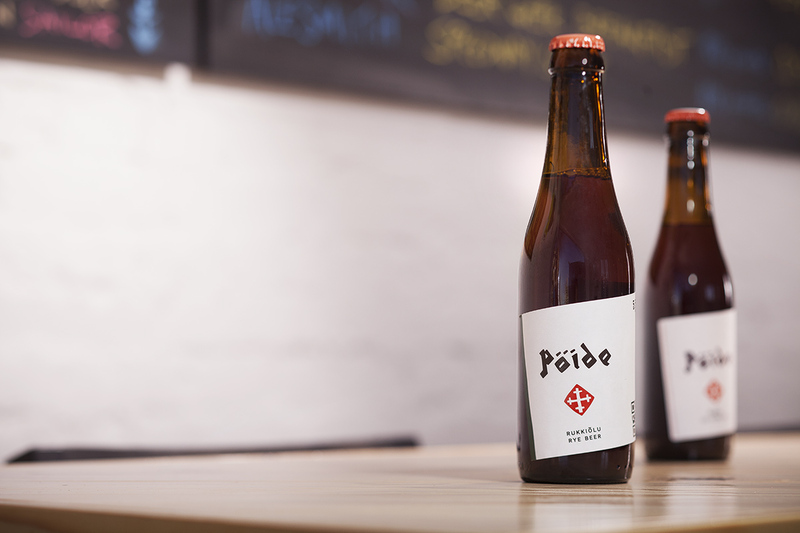 Besides strong shelf-presence—a family of three beers is expected this year—growing Pöide's reputation means also a distinctive 16-bottle case and a strong presence in social media. With our help, Pöide beer got the world talking before it was officially rolled out in spring 2014.